When using Code First your model is calculated from your classes using a set of conventions. The default Code First Conventions determine things like which property becomes the primary key of an entity, the name of the table an entity maps to, and what precision and scale a decimal column has by default. Sometimes these default conventions are not ideal for your model, and you have to work around them by configuring many individual entities using Data Annotations or the Fluent API. Custom Code First Conventions let you define your own conventions that provide configuration defaults for your model. In this walkthrough, we will explore the different types of custom conventions and how to create each of them. This page covers the DbModelBuilder API for custom conventions. This API should be sufficient for authoring most custom conventions. However, there is also the ability to author model-based conventions - conventions that manipulate the final model once it is created - to handle advanced scenarios. For more information, see Model-Based Conventions. Let's start by defining a simple model that we can use with our conventions. Add the following classes to your project. Let’s write a convention that configures any property named Key to be the primary key for its entity type. 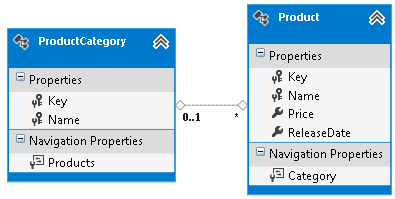 Now, any property in our model named Key will be configured as the primary key of whatever entity its part of. This will configure all properties called Key to be the primary key of their entity, but only if they are an integer. Another way of defining conventions is to use a Convention Class to encapsulate your convention. When using a Convention Class then you create a type that inherits from the Convention class in the System.Data.Entity.ModelConfiguration.Conventions namespace. As you can see we add an instance of our convention to the conventions collection. Inheriting from Convention provides a convenient way of grouping and sharing conventions across teams or projects. You could, for example, have a class library with a common set of conventions that all of your organizations projects use. Another great use of conventions is to enable new attributes to be used when configuring a model. To illustrate this, let’s create an attribute that we can use to mark String properties as non-Unicode. With this convention we can add the NonUnicode attribute to any of our string properties, which means the column in the database will be stored as varchar instead of nvarchar. One thing to note about this convention is that if you put the NonUnicode attribute on anything other than a string property then it will throw an exception. It does this because you cannot configure IsUnicode on any type other than a string. If this happens, then you can make your convention more specific, so that it filters out anything that isn’t a string. While the above convention works for defining custom attributes there is another API that can be much easier to use, especially when you want to use properties from the attribute class. Custom attributes are not the only reason to use the Having method, it is useful anywhere that you need to reason about something that you are filtering on when configuring your types or properties. So far all of our conventions have been for properties, but there is another area of the conventions API for configuring the types in your model. The experience is similar to the conventions we have seen so far, but the options inside configure will be at the entity instead of property level. This method takes a type and returns a string that uses lower case with underscores instead of CamelCase. In our model this means that the ProductCategory class will be mapped to a table called product_category instead of ProductCategories. This convention configures every type in our model to map to the table name that is returned from our GetTableName method. This convention is the equivalent to calling the ToTable method for each entity in the model using the Fluent API. One thing to note about this is that when you call ToTable EF will take the string that you provide as the exact table name, without any of the pluralization that it would normally do when determining table names. This is why the table name from our convention is product_category instead of product_categories. We can resolve that in our convention by making a call to the pluralization service ourselves. In the following code we will use the Dependency Resolution feature added in EF6 to retrieve the pluralization service that EF would have used and pluralize our table name. The generic version of GetService is an extension method in the System.Data.Entity.Infrastructure.DependencyResolution namespace, you will need to add a using statement to your context in order to use it. 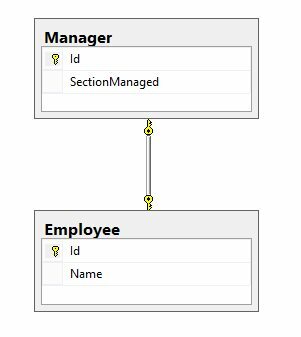 By default both employee and manager are mapped to the same table (Employees) in the database. The table will contain both employees and managers with a discriminator column that will tell you what type of instance is stored in each row. This is TPH mapping as there is a single table for the hierarchy. However, if you call ToTable on both classe then each type will instead be mapped to its own table, also known as TPT since each type has its own table. Call ToTable with the same table name for each type in the hierarchy. Call ToTable only on the base class of the hierarchy, in our example that would be employee. Conventions operate in a last wins manner, the same as the Fluent API. What this means is that if you write two conventions that configure the same option of the same property, then the last one to execute wins. As an example, in the code below the max length of all strings is set to 500 but we then configure all properties called Name in the model to have a max length of 250. Because the convention to set max length to 250 is after the one that sets all strings to 500, all the properties called Name in our model will have a MaxLength of 250 while any other strings, such as descriptions, would be 500. Using conventions in this way means that you can provide a general convention for types or properties in your model and then overide them for subsets that are different. The Fluent API and Data Annotations can also be used to override a convention in specific cases. In our example above if we had used the Fluent API to set the max length of a property then we could have put it before or after the convention, because the more specific Fluent API will win over the more general Configuration Convention. Because custom conventions could be affected by the default Code First conventions, it can be useful to add conventions to run before or after another convention. To do this you can use the AddBefore and AddAfter methods of the Conventions collection on your derived DbContext. The following code would add the convention class we created earlier so that it will run before the built in key discovery convention. This is going to be of the most use when adding conventions that need to run before or after the built in conventions, a list of the built in conventions can be found here: System.Data.Entity.ModelConfiguration.Conventions Namespace. You can also remove conventions that you do not want applied to your model. To remove a convention, use the Remove method. Here is an example of removing the PluralizingTableNameConvention.